After the chicken hat, and before the kind lesson in white balance from a knowledgeable friend and reader… I decided something simple was called for. 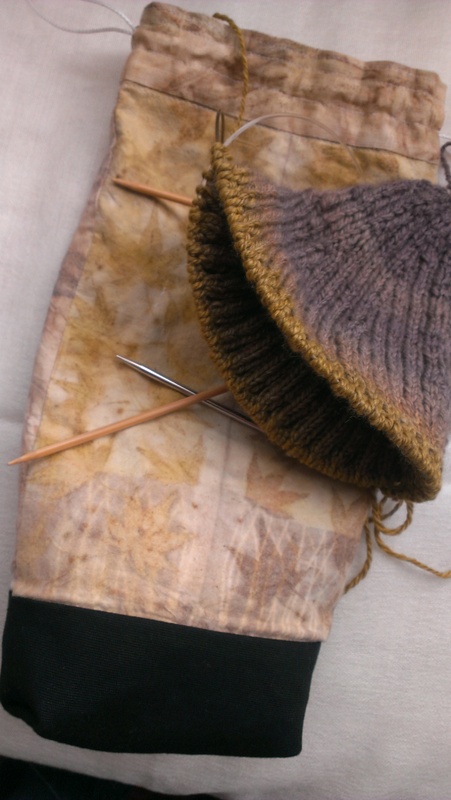 This is the swatchless watch cap from Knitting from the Center Out by Daniel Yuhas. 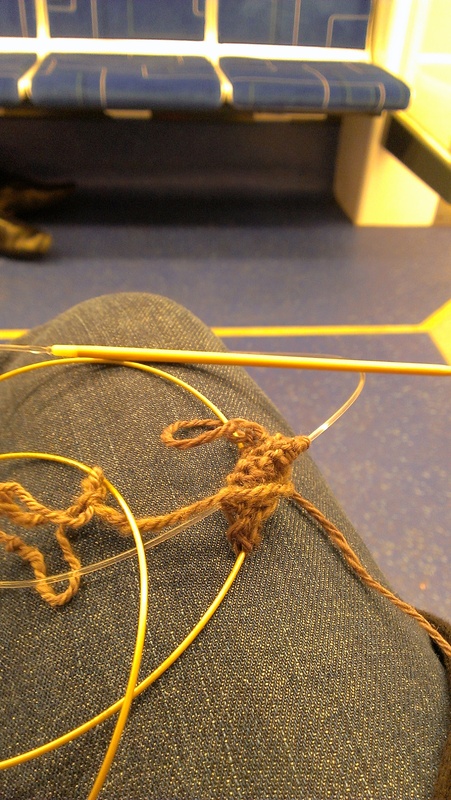 Locals may recognise that I am casting on, on the train. 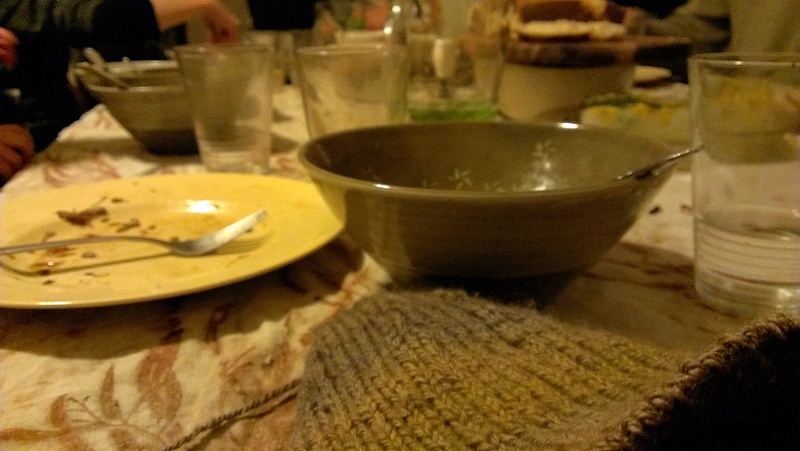 …to solstice dinner with a big bunch of friends large and small. This is a small amount (66g) of luxury handspun merino/yak/silk naturally dyed by A Verb for Keeping Warm in ‘sticks and stones’. 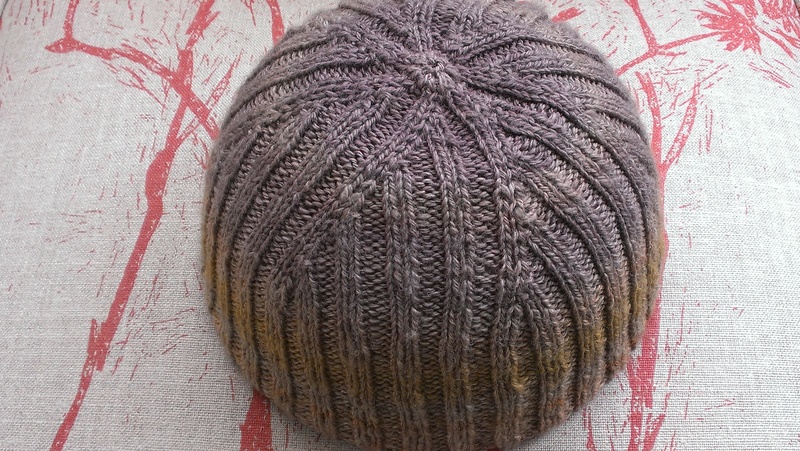 I bought the fibre from someone else’s destash and it struck me as a delightfully soft and understated hat for someone. Done. There has been spinning! 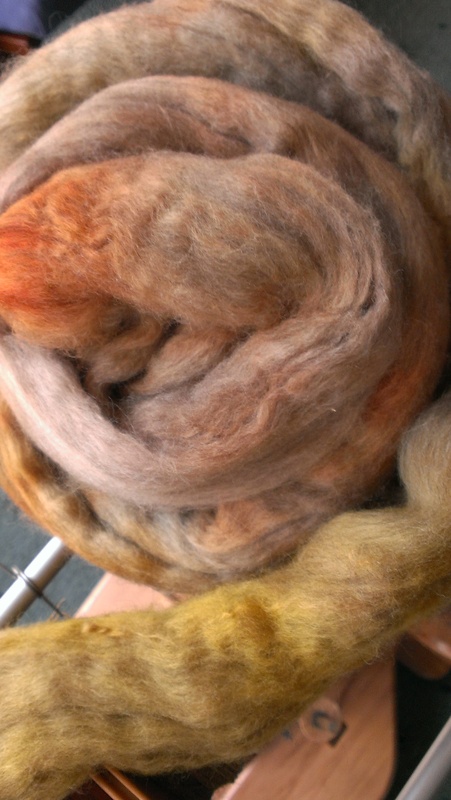 I made some purchases in a destash recently and so have acquired fibres I wouldn’t ordinarily buy. 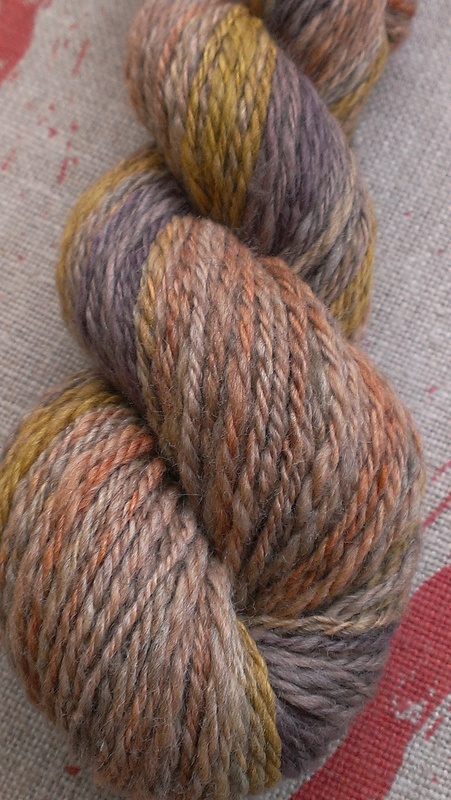 This is naturally dyed fibre by a verb for keeping warm; merino/silk/yak in ‘sticks and stones’ colourway. And in case you’re wondering, I have been planting lettuce and poppies and not only saltbush… and transplanting potted plants too. 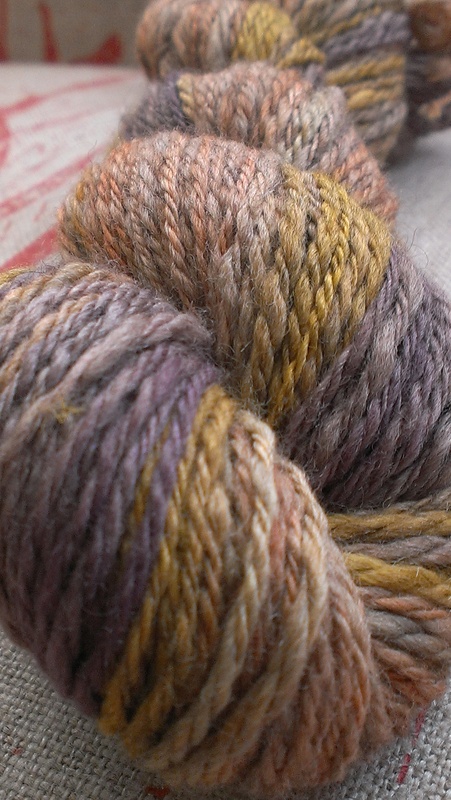 This spin made me realise that my preference for strong colours would have had me disappointed with this if I had dyed it myself. But here I am, appreciating its subtlety and wondering who would like it as a hat.